Mommy's Kitchen - Recipes From my Texas Kitchen: Winner Winner Turkey Dinner!!! Congrats!!! Tina and Betty you have 48 hours to respond with your mailing address. If not I will have to draw new winners. Thank you to everyone who participated in my giveaway. Woo Hoo! Thanks a bunch! 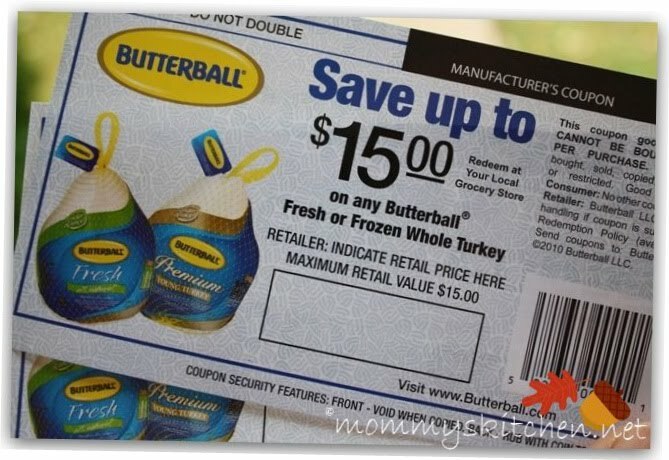 I have family coming for Thanksgiving, so I definitely will be able to use that coupon. :) I've e-mailed you my info. I too am sooooooooooooo excited! I truly do thank you! God Bless... have an amazing weekend! Congrats Ladies! No doubt you'll enjoy every bite!